BRP Hot Rods: Gauge Components BRP Hot Rods.com - conversion kit specialists for GM vehicles. 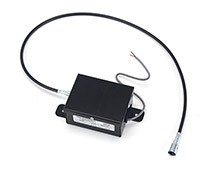 Converts electronic pulses from your late model transmission to mechanical for running a conventional speedometer. Includes control module and cable. 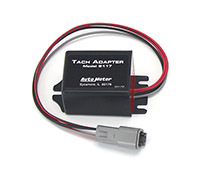 Tach signal adapter for distributorless ignition systems. Control your factory or aftermarket traditional tachometer or shift light. Includes LS coil pack connector harness. Offered here without our LS harness for custom applications. This oil pressure adapter fitting allows the use of a traditional pressure gauge sensor with the LS engine. Coolant Temp Sensor and Adapter Harness. This sensor and convenient adapter harness will allow you to send the temperature signal to both your PCM and a traditional temp gauge.